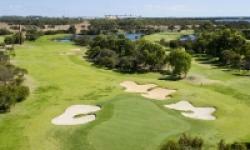 Sanctuary Golf in Bunbury, Western Australia, is an 18-hole course with picturesque fairways, perfectly manicured greens and challenging water and sand hazards, and is a Golfer's haven. 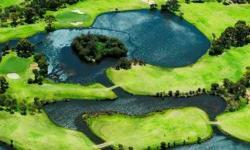 Michael Coate, the well-known designer of Golf courses, designed this course to test and tease the skills of players of all levels, yet at the same time to reward them with the satisfaction of a game well played. We have a fully stocked Golf shop, should you require new equipment, we also have available group clinics and private tuition, should you be experiencing a few problems with your game. Sanctuary Golf is the perfect venue for corporate Golf days, and our packages are ideal to relieve you of the stress of organising such a day, and we ensure that our packages are sufficiently flexible to suit your budget.